I teach high school English in my spare time. 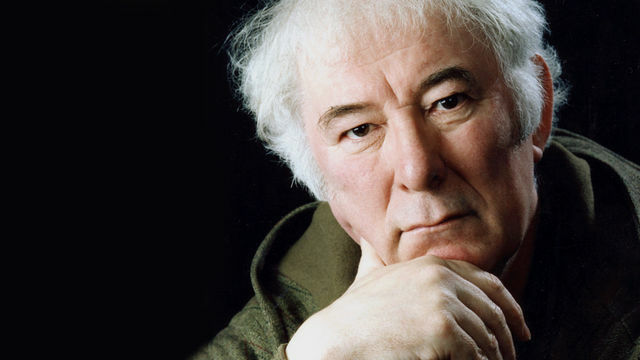 One of my students recently asked me for help with Shakespeare’s Othello and poetry by Seamus Heaney. Othello has always been one of my favorite Shakespearean tragedies and it doesn’t hurt that I know Verdi’s Otello, an opera based on the play, backward and forward. Teaching Shakespeare is both fun and immensely rewarding. Just pop Placido Domingo’s 1978 legendary recording of the opera into the CD player and I am ready to rumble. Heaney, on the other hand, is a different matter. All I know about the Irish poet is that he translated Beowulf from Old English and won a Nobel Prize in literature in the 1990s. A few days ago I flipped through a dusty copy of his Death of a Naturalist on my bookshelf but not much registered. Determined to find out why he was coined the “most important Irish poet since Yeats,” I decided to stay home tonight to read up on good ol’ Seamus, starting with his famous poems on potato digging and blackberry picking.